The New Kaye Lock-In-Place Frazier Tables lock onto our popular Kaye Therapy Benches. 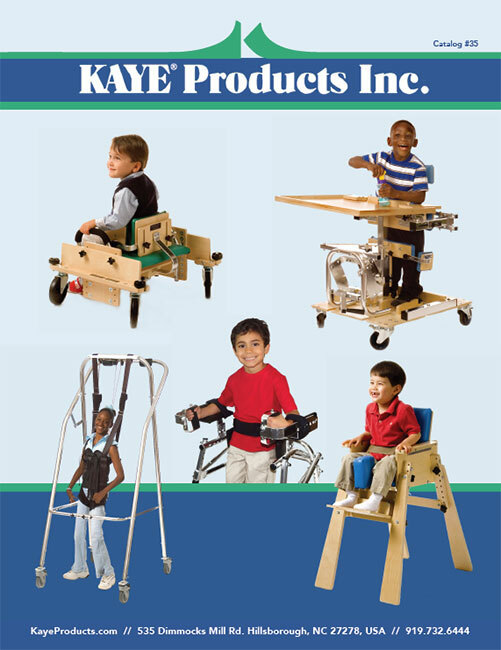 This provides a stable surface to achieve maximum arm and hand movements for play, learning and daily living skills. These tables, with their cut-out surface, can be placed close around the child to stabilize the shoulders, arms and hands. The adjustable height and tilting surface means the child can be placed at the optimal distance for work or play. The easy lock-in-place feature makes this an appropriate table and seat for children with autism spectrum disorder (ASD) or other developmental disorders who are distractible and will not remain seated for learning activities. The locking mechanism, which attaches on the Kaye Bench, retrofits either the S1A or S2A Kaye Benches. These tables can be used when a Kaye Posture System (models S1AO, S2AO or H2AO) is attached to the bench. The tables are free-standing and can be used independently of the Kaye benches.